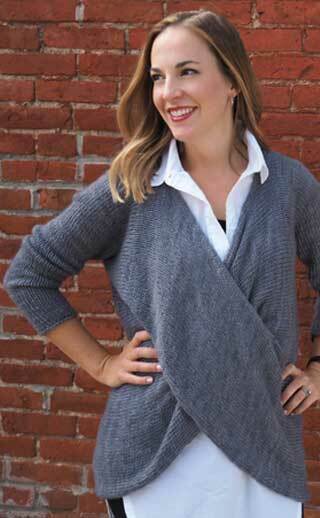 Knit cuff-to-cuff, this is a surprisingly simple sport weight sweater with minimal seaming. Designed to be worn as a casual piece paired with yoga pants, or to layer over a floral dress, this sweater is perfect for any occasion. 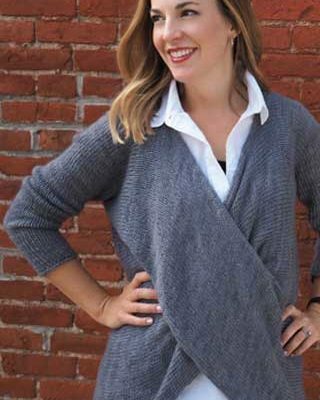 The unique construction creates a clever twist, and the luxurious combination of cashmere and silk is sure to make this sweater your new favorite!